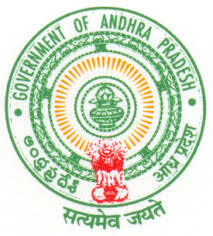 Andhra Pradesh Government released an AP ECET 2019 Notification, exam dates. AP ECET 2019 is a state level entrance exam conducted by the Jawaharlal Nehru Technological University Anantapur. This examination is conducted on behalf of Andhra Pradesh State Council of Higher Education (APSCHE). AP ECET is an Andhra Pradesh Engineering Common Entrance Test for diploma holders and B.Sc (Mathematics) degree holders. Students can get admission to second year of B.E./B.Tech and in 2nd year B.Pharmacy courses. Here we Provide Detailed information of AP EAMCET 2019 such as Notification, exam dates, application form, eligibility, syllabus, Previous Papers etc. Andhra Pradesh Engineering Common Entrance Test – AP ECET is an Entrance test for candidates to get admission in 2nd year Engineering, Pharmacy etc. In many states of India, it is a pre-requisite for candidates to qualify the Entrance test in order to join for the admissions in Andhra Pradesh Universities/Colleges. The registration fee is Rs.550/- and can be paid at AP Online Centres in AP. The fee can also be paid through payment gateway of Credit/Debit Cards/Net Banking. It is the 3 hours duration examination. The timings of the test will be 10:00 a.m. to 1:00 p.m. One mark is assigned to every question. The AP ECET exams syllabus contains the topics and subjects what students have studied in qualification examination. The student has to study all subject according to their branches. Paper setters will be from engineering branches such as civil engineering, mechanical engineering electronics, and instrumentation, electrical, computer science etc. AP ECET Hall Ticket can be accessed from the official website. It will be issued in the last week of April 2019. Candidates are required to bring one photo ID proof along with Admit Card to enter the examination centre.